The weather is starting to get warm and to me that calls for cold brew coffee. But ladies & gents, skip the line at Starbucks, save the cash and the added sugar and let’s brew some at home! Cold brew coffee, is what is sounds like, coffee that is brewed cold. You are taking your coffee grounds, steeping them in room temp water, or water that is in the fridge for 12-24 hours until you create a coffee concentrate. This coffee concentrate is incredibly strong. When you drink cold brew at your local shop, the cold brew concentrate is cut 1:1 with either coffee or milk of your choice. 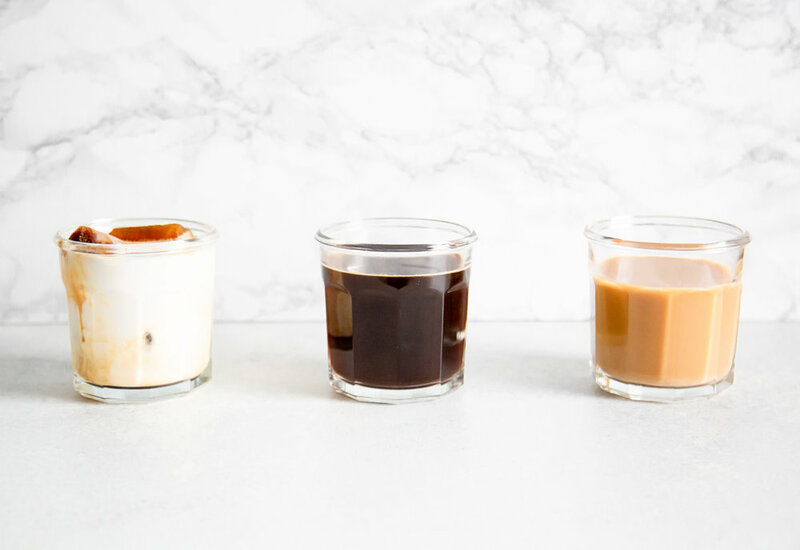 There are a few ways to enjoy homemade cold brew and the 1:1 cut with milk or water isn’t the only way to enjoy a fresh cold cup in the afternoon! It’s crazy to say, but cold brew is easier than brewing a pot of coffee, you just need to be more patient! I love to make a big batch ahead of time, so I can sustain my cold brew needs through the week. When you make your cold brew, start with incredibly roasted coffee that you like. The key is coffee that you love. Since cold brew is a concentrate, you are really tasting more of the flavor rather than covering it up with milk or cream. 3 Ways to Drink It! There are many ways to drink coffee, and the beauty of this is, there is no right or wrong way to enjoy it! How you like coffee is the best way for you to enjoy your drink. I have found that the hot summer months cause my ice to melt and I prefer coffee ice cubes to keep the coffee flavor strong and the water content low. Fill your ice cube tray with cold brew concentrate, freeze them up, and add a handful to your glass. Add in 1:1 cold brew and water or milk of choice. My second favorite way to drink cold brew is to think of it as an espresso shot. Fill your glass up with ice cubes, milk and add in 4 oz of cold brew, for a creamy iced latte like drink! My third favorite way to drink cold brew is semi-traditional. I love a big class of cold concentrate, cut 1:1 with cold water with a splash of coconut milk! Tasty, refreshing and tastes like the beach!